One simple day pass will gain you unlimited travels on eight different types of transportation in Hakone for either two or three days. 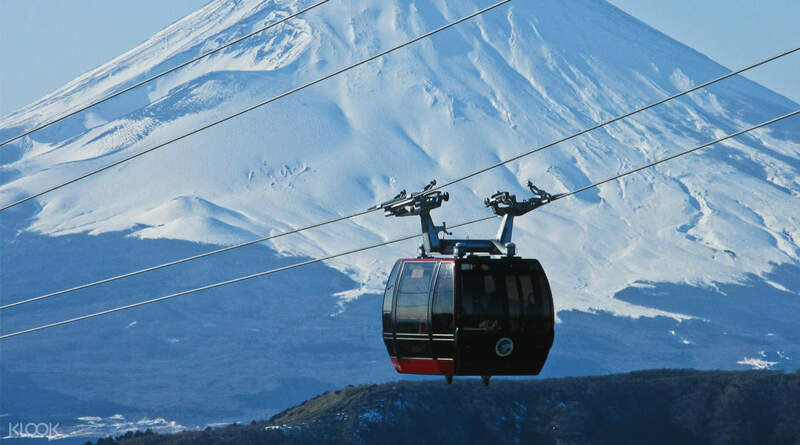 Simply pick up your pass at Shinjuku Station and you're able to ride the Hakone Tozan Train, Hakone Tozan Bus, Hakone Tozan Cable Car, Hakone Ropeway, and even the Hakone Sightseeing Cruise! You can also take advantage of the discounts this pass will get you at over 50 facilities including hot spring resorts and souvenir shops. At the end of your trip, simply return the pass back to Shinjuku Station again. 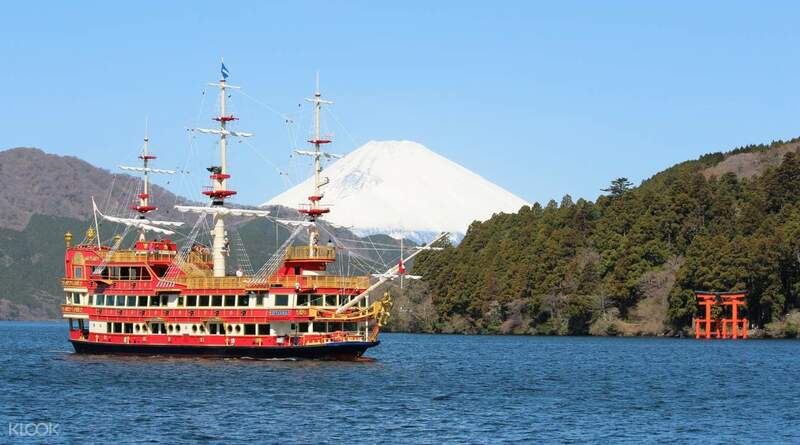 Get around Hakone easily with this convenient transport pass! Picked up tickets from Odakyu Sightseeing Service Centers was easy. The map came with a handy suggested route that allows you to see the highlights in the area. Essentially it’s one giant loop and is the basis of how I planned my time in Hakone. You can go this way around the loop, or backwards. It still works out to be about the same. Picked up tickets from Odakyu Sightseeing Service Centers was easy. The map came with a handy suggested route that allows you to see the highlights in the area. Essentially it’s one giant loop and is the basis of how I planned my time in Hakone. You can go this way around the loop, or backwards. It still works out to be about the same. The pass was easy easy to useand very convenient. We found our way easily and the staff at the sight seeing counter were very helful. Be careful with your tickets though, one of us lost our ticket upon arriving in Odawara, we had to buy another one for a full price. The ticket is just a piece of cardstock, so it is easy to lose. Keep it well. Over all, we had a great time without any other stressful part. The pass was easy easy to useand very convenient. We found our way easily and the staff at the sight seeing counter were very helful. Be careful with your tickets though, one of us lost our ticket upon arriving in Odawara, we had to buy another one for a full price. The ticket is just a piece of cardstock, so it is easy to lose. Keep it well. Over all, we had a great time without any other stressful part. The Hakone free pass allowed us the choice and freedom to exploit the advantages along the Hakone Tokau route. Unfortunately, the first day the weather was bad which obscured Mt Fuji. However, as we had a two day pass we did the same route again since the weather had improved somewhat and we were able to view My Fuji. Other aspects: the winding rail track, the gas emitted by the fumeroles, the cable car, ropeway, and the cruise on Lake Ashi - all added to the enjoyment. The Hakone free pass allowed us the choice and freedom to exploit the advantages along the Hakone Tokau route. Unfortunately, the first day the weather was bad which obscured Mt Fuji. However, as we had a two day pass we did the same route again since the weather had improved somewhat and we were able to view My Fuji. Other aspects: the winding rail track, the gas emitted by the fumeroles, the cable car, ropeway, and the cruise on Lake Ashi - all added to the enjoyment. Perfect pass to use when getting around Hakone! Saves time by simply flashing the pass around and not having to queue up for tickets! Good to top up for romance car option for a comfortable and straight route to Hakone Yumoto station. Perfect pass to use when getting around Hakone! Saves time by simply flashing the pass around and not having to queue up for tickets! Good to top up for romance car option for a comfortable and straight route to Hakone Yumoto station. This is the best decision I made when I decided to extend my stay for 3 more days visit Hakone and purchase the Hakone free pass! I am so in love with this place I am already planning to go back next year and get the Hakone Free pAss!! ✔️easy to use.claiming the actual ticket though is a whole different story. Odakyu sight seeing center is kinda hard to find. Well Shinjuku Station is chaotic but the guy in odakyu counter is very pleasant and nice & cute ☺️. So it’s okay haha. ✔️convenient way to tour Hakone because it covers ALL forms of public transportation available. ✔️plus you get discounts to other tourist spots like museums. ✔️also, I really like that they responded to all my questions timely via email when I am planning my itinerary. It really helped me make my tour go smoothly!! Tip: claim your ticket a day before your scheduled travel to Hakone because it is really hard to find and the line gets really long. Soooo to avoid cramming and not enjoying the whole experience get your tickets early! This is the best decision I made when I decided to extend my stay for 3 more days visit Hakone and purchase the Hakone free pass! I am so in love with this place I am already planning to go back next year and get the Hakone Free pAss!! ✔️easy to use.claiming the actual ticket though is a whole different story. Odakyu sight seeing center is kinda hard to find. Well Shinjuku Station is chaotic but the guy in odakyu counter is very pleasant and nice & cute ☺️. So it’s okay haha. ✔️convenient way to tour Hakone because it covers ALL forms of public transportation available. ✔️plus you get discounts to other tourist spots like museums. ✔️also, I really like that they responded to all my questions timely via email when I am planning my itinerary. It really helped me make my tour go smoothly!! Tip: claim your ticket a day before your scheduled travel to Hakone because it is really hard to find and the line gets really long. Soooo to avoid cramming and not enjoying the whole experience get your tickets early! Redemption was easy-breezy like the weather in hakone when we went there. There is a separate counter, so we skipped the queue. This pass covers most of the transportation modes so it can get you to from and around hakone. If you plan to do it for a day only, come early to explore more. Hakone has so many beautiful places to see! Redemption was easy-breezy like the weather in hakone when we went there. There is a separate counter, so we skipped the queue. This pass covers most of the transportation modes so it can get you to from and around hakone. If you plan to do it for a day only, come early to explore more. Hakone has so many beautiful places to see! 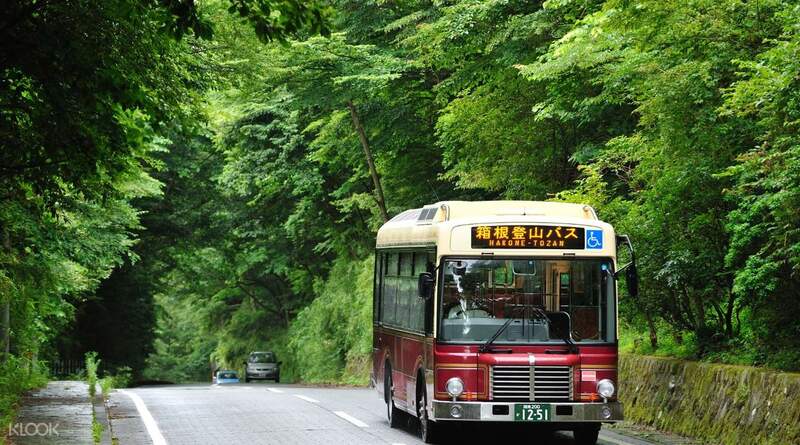 Easy to redeem and travel freely through Hakone area. If anybody wanna travel in this area, I would recommend this pass. It will save your money and don’t get stuck while traveling. I already got a discount from Klook when buying the pass. It’s worth money. Easy to redeem and travel freely through Hakone area. If anybody wanna travel in this area, I would recommend this pass. It will save your money and don’t get stuck while traveling. I already got a discount from Klook when buying the pass. It’s worth money. Our Hakone Trip using the Hakone Free Pass was great! Everything went smoothly. Just wished we went there earlier as most shops close at 5pm. It was a cloudy day when we went there so we only saw a glimpse of Mt Fuji. Otherwise all good!!! Thanks klook!!! Our Hakone Trip using the Hakone Free Pass was great! Everything went smoothly. Just wished we went there earlier as most shops close at 5pm. It was a cloudy day when we went there so we only saw a glimpse of Mt Fuji. Otherwise all good!!! Thanks klook!!! Had a fantastic day trip in Hakone. The Hakone pass provided unlimited access to most of the transportation around Hakone. The pass will save you time and money. I highly recommend getting this pass if travelling to Hakone. Had a fantastic day trip in Hakone. The Hakone pass provided unlimited access to most of the transportation around Hakone. The pass will save you time and money. I highly recommend getting this pass if travelling to Hakone. Worth it to go to hakone but we just spend 1 day cause our itinerary are so pack..but we are still glad we could enjoy hakone using this pass..every transportation we used we could just show this pass and get on board with it..no need to pay any extra charges.. Worth it to go to hakone but we just spend 1 day cause our itinerary are so pack..but we are still glad we could enjoy hakone using this pass..every transportation we used we could just show this pass and get on board with it..no need to pay any extra charges..